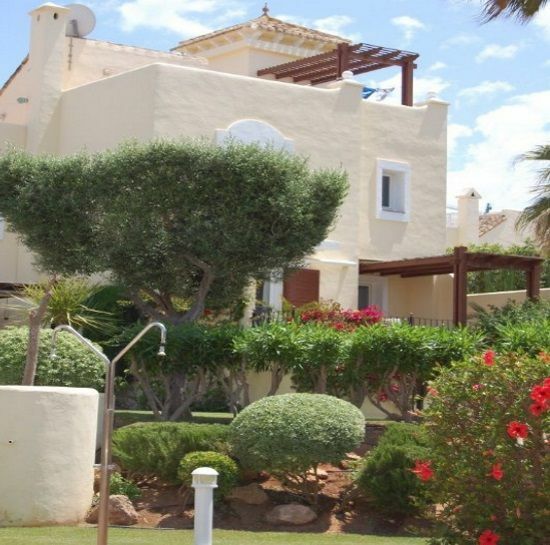 La Manga Club may be a well known haunt of the sporting world's glitterati but this stylish 2-bedroom villa with shared pool is all about a relaxing escape for babies, toddlers and frazzled parents. 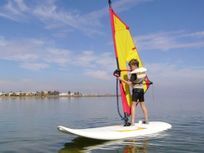 Set on Spain’s dry and sunny Costa Calida it boasts a host of parent-friendly facilities on the doorstep and, thanks to the insight of owner and mum of two Marianne, a host of baby and toddler gear on tap too. 'Las Brisas' is a pretty townhouse style villa within a community of 20 or so others, set in lush gardens and around a swimming pool with a shallow, toddler section. It has the atmosphere of a quiet, family oriented neighbourhood with the luxury spas, creche, kids club and leisure facilities, top restaurants, bars, private beach and manicured golf courses of Murcia’s snazzy La Manga Club all close at hand. It’s no surprise that quite a few celebs come here to get away from it all and enjoy some serious R&R. The villa is spacious and stylish, with two ensuite bedrooms, a well equipped kitchen, open plan living dining area and large enclosed patio with electric, retractable sun shade and a garden with gate leading out to the pool area. 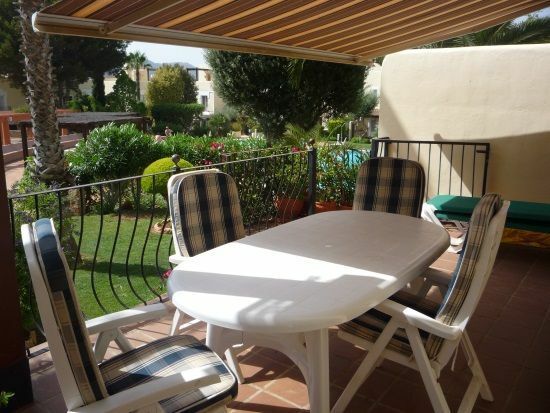 There’s air con for the long hot Costa Calida summers and underfloor heating for toasty little toes in case it does fall chilly, although La Manga is noted for its mild and sunny year round climate. A great big toy box, board games and family DVD’s is provided plus the 32” flat screen TV is linked to the La Manga Club system, with Sky Sports and 50 more channels. 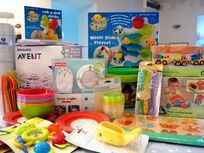 The villa also has plenty of essential and leading brand baby equipment to make packing simple, including a Bumbo baby seat, Fisher Price baby monitor, Avent steriliser and Maclaren buggy are all available. Las Brisas comfortably sleeps a family of four plus a baby in a cot. The master bedroom has a queen-sized double bed, built in triple cupboards and ensuite with bath, shower, bidet, basin and wc. The second bedroom has two single beds , built-in double cupboards and ensuite shower room with basin and wc. The kitchen is fully equipped with a fridge freezer, oven/hob, microwave, dishwasher and washer/dryer. The living room has one 3-seater sofa and one 2-seater sofa, 32” TV with Sky channels and DVD player. The dining area has a table and seating for up to 6 or more. Please note: cleaning is charged at £20 per adult and £10 per child. 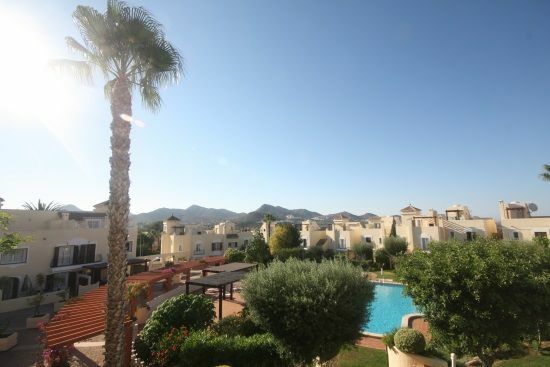 Las Brisas is set in a quiet corner of the lush, landscaped 5-star La Manga Club Resort, tucked into a hillside between the vast Mar Menor lagoon and the Mediterranean. The resort attracts the rich and famous with its private beach, fabulous golf courses, kids clubs, spa facilities and a choice of 15 bars and restaurants which means they don’t have to venture very far. Having so much onsite, often within toddler walking distance, also makes Las Brises a breeze for pooped parents to unwind with the little ones in salubrious surroundings, with all kinds of sports and leisure facilities for older children. 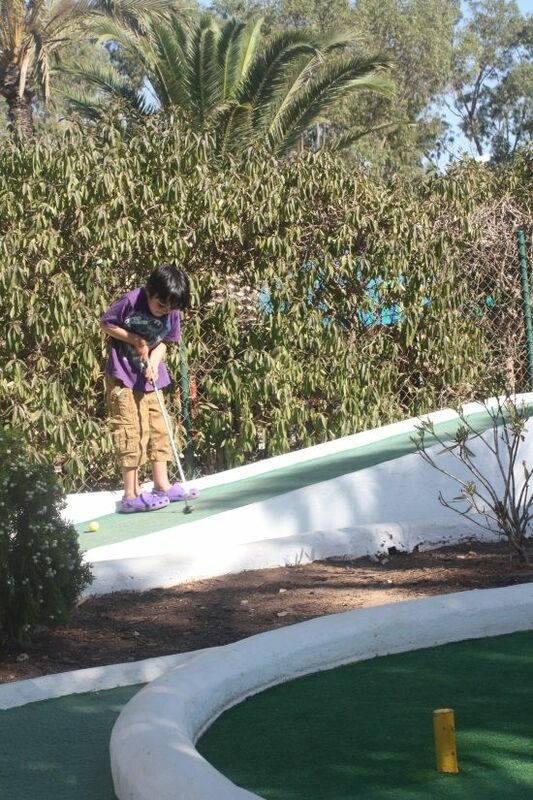 The Costa Calida, or Spain’s ‘warm coast’ is renowned for sunshine and little rain virtually all year round and is a relatively short and easy 2.5 hour flight from most UK airports, making La Manga well within tolerable toddler distance! As Las Brisas is a self catering villa, two supermarkets are conveniently nearby and a hypermarket is within 15 minutes drive. There is a variety of local shops in the bustling little town of Los Bolones, including a fresh fish shop, butchers, bakers and more, along with a number of bars and restaurants. Within half an hour away, Cabo de Palos has a pretty little fishing harbour and marina, with quayside bars and restaurants. La Manga Club takes its name from the extraordinary several mile long strip or ‘sleeve’ of land which separates the huge lagoon of the Mar Menor from the Med, lined with hotels and apartments which appear to rise from the sea. The warm calm waters of the Mar Menor is a wonderful place for babies and toddlers to get to grips with the idea of the sea and pedalos are available for hire from numerous little resort towns which line its shore. 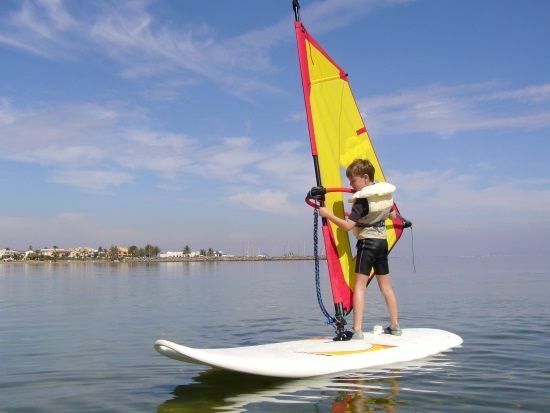 The Mar Menor is also a mecca for windsurfing, sailing and other watersports. In addition to the Mar Menor, La Manga Resort has a private beach on the Mediterranean coast and is on the edge of the rugged Calablanque Regional Park which has unspoilt, golden sandy shores and glittering clear sea. Nearest Medical Services: La Manga has its own medical centre with English speaking doctors and its own ambulance for emergencies. There is an extra £50 charge for Sunday cleaning. We bought Las Brisas in 2007 after many happy holidays in La Manga Club over the previous five years. People would ask us where we were going on holiday and as soon as we’d reply “La Manga again” their next question would be “when are you buying a place there?” So finally we did just that. 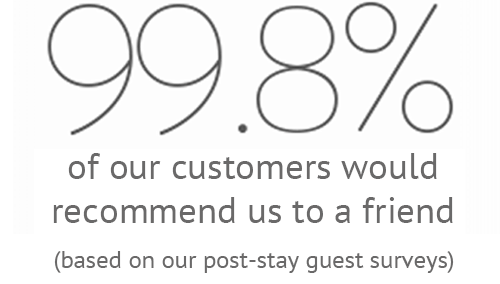 We enjoy sharing our Spanish home-from-home and are always delighted that so many guests keep coming back. The weather is generally very pleasant - even in the height of Summer there is a cooling breeze. 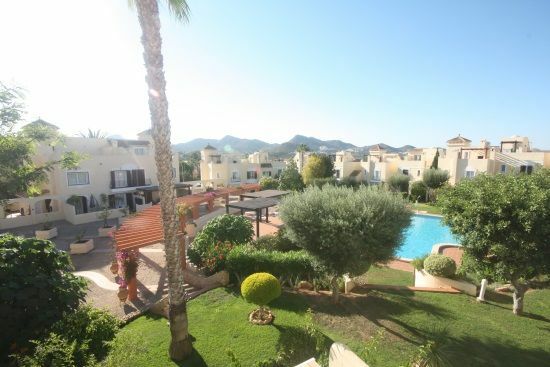 La Manga is the perfect family destination. Kids of all ages are catered for and adults have the use of world-class sporting facilities, including a new spa complex. You can choose to laze around the pool for the whole of your stay, or if you prefer a more active holiday there is always plenty to do. We have two boys who have loved holidaying in Las Brisas. In summer they would spend all day in the pool playing with new friends and meeting up with old ones. At other times of the year, they were down at pitch and put, on the tennis courts, or in the various sports academies. Sometimes, we even went to go to the beach. La Manga has so much to offer that it’s an all year round destination. We’ve tried other places around the Med and La Manga always comes out on top. 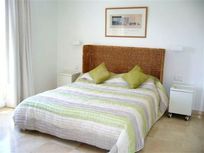 Sleeps 4+cots in 1 double and 1 twin bedroom. There are several airports within a short drive including Murcia (30mins) and Alicante (60mins). The resort is set on its own private beach. The resort is set on its own private beach and there are several other beaches with family facilities a short drive away. There are a range of restaurants and shops within walking distance. The lagoon-style pool nearest the apartment is popular with little ones but, in chillier months, guests may find the 25-metre heated pool and toddler splash pool within the spa complex (extra charge) more attractive. There is an extensive spa onsite with indoor pool. Open all year round, Junior Club offers a superb range of facilities and fun activities for children aged three months to 12 years. During summer it is open 7 days a week and Monday-Friday during the rest of the year. Sessions can be booked either by hour, by day or half day. 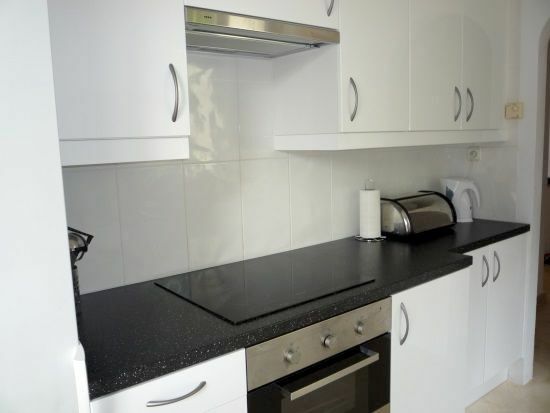 This baby and child friendly villa has a wooden Cot, highchair, baby bath,baby monitor, steriliser, potty, stairgates, bed guards, socket covers, buggy, plastic crockery and cutlery. This baby friendly villa has a great stock of bath toys, kids books, a general toy box and U-rated kids DVDs are provided. There is a range of over 20 different bars and restaurants to choose from. There is and enclosed garden with private patio and a terrace with dining area. La Manga resort has three championship golf courses, a golf Academy and extensive practice areas. La Manga resort has 28-court, multi-surface championship Tennis Centre and Tennis Academy. There is a fitness suite at the resort. Standard stay clean is charged at £20 per adult and £10 per child. The spa has a shared hot tub. We stayed at Las Brisas in July 2017 and we had a wonderful holiday there. The villa is lovely with all the amenities you should need and a great pool nearby which we had to ourselves much of the time. The surrounding area is beautiful with plenty to explore. Looking forward to returning! Beautiful property, pool, location and resort. Pictures don't do it justice. Well situated, with good access to facilities and the airport is just a short drive away. We had a lovely stay at Las Brisas. With two children under five, it was wonderful not to have to worry about bringing all of the necessary equipment with us. 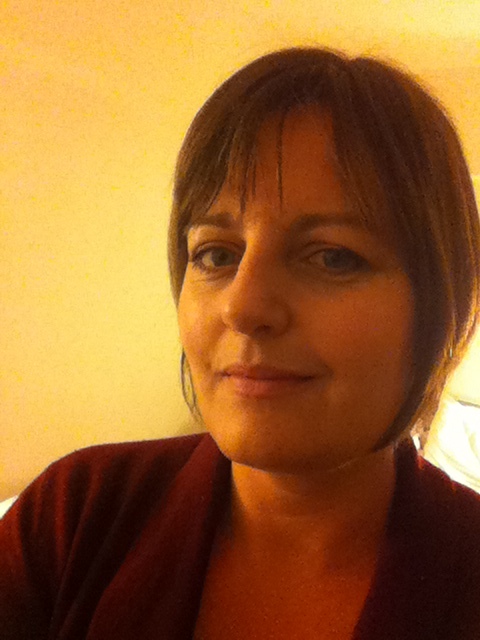 Marianne was brilliant, providing us with detailed welcome notes and advice re car hire, trips, restaurants etc. 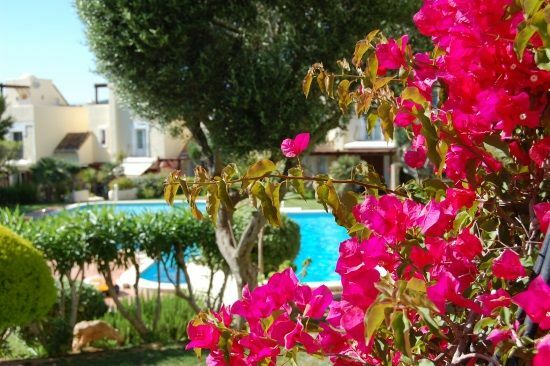 The villa itself is beautifully maintained, with lots of space and a fantastic gated balcony and wonderful views from a rooftop terrace. A great place for a family holiday. We had a fabulous stress free getaway The property is toddler friendly with lots of useful equipment that we didn't have to take with us. The location is perfect with great beaches close by. We stayed in the villa in September 2015 with our 6 month old baby. The facilities for babies/toddlers are outstanding, with virtually everything you could need. The villa is beautiful with a great outside area linking to the shared pool. Marianne was superb throughout with her communication, and her notes on the villa and surrounding area were fantastic. A car is a definite requirement for getting around the La Manga resort and surrounding area. Would definitely recommend for families with kids of all ages. A fantastic option for a home-from-home sunny holiday. Packed with well thought out equipment to help out busy parents - a fun, really safe and non-noisy location - perfect for little ones. Great toddler splash pool, real wooden cot, which is worth its weight in gold and very useful retractable sunshade, so our baby could be outside. Owner was very helpful pre stay. We had a fantastic time. Marianne was very proactive in checking arrangements with us in advance. The apartment was to a high standard and was perfect with a 4 month old and 2.5 year old. There was plenty of space, lots of toys and comfy loungers on the balcony. My husband was also pleased to find sky sports and wifi! There were plenty of shops and restaurants within a 20 minute walk and easily done with buggy, although everything was quite pricey. The pool is gorgeous and chilly at the start of June. Also the main pool near the tennis courts doesn't open until July. We didn't bother with a hire car and were glad to have the ease of taxi transfer. Perfect destination for a family break. Thoroughly enjoyed our time here. We had a fabulous week stay in La Manga Club. The villa is wonderful and very baby friendly. Our 11 month old had a great time playing with the toys in the living room and roaming around on the grass and the patio. She even slept better than she does at home! The villa was beautifully presented on our arrival, even a pink teddy bear in the cot. It was really helpful to have a buggy and high chair already at the villa. The resort itself was very quiet as it was just out of season, but the weather was great and the whole week we had the pool to ourselves. If you are going for the golf make sure you book tee times in advance to avoid being disappointed and I would recommend a trip to the Spa! If you are a sports fan then there is plenty to do within the resort but we also ventured to Cartagena to check out the Roman ruins and also to nearby beaches. Will hopefully be booking another stay next year! We really enjoyed our stay at Las Brisas. The supplied baby equipment (cot, steriliser, high chair etc) was in good condition and saved valuable luggage space. Our three year old son also really appreciated the box of toys and books (and the bucket and spades) in the accommodation. There really was everything we needed - washing machine came in very handy too! We had great weather and spent afternoons at various local beaches and evenings trying out some lovely restaurants. All were suitable for kids - even the restaurant at the nearby 5 star hotel were accommodating. It was a shame the weather wasn't quite warm enough to use the beautiful pool (it's unheated) but if you visit in the summer months, I'm sure you'll love it. The owner supplied lots of really useful info and made sure all was perfect for us. I imagine La Manga Club really comes into it's own when you have school-age children who can take part in tonnes of activities during school holidays, there wasn't so much for Pre-schoolers during an off-peak period...however we were all more than happy with lazy days at the beach with sandcastles and ice creams! 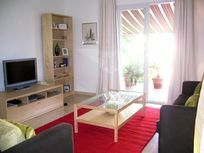 A wonderful well equipped baby and toddler friendly villa. brilliant gear for a toddler and baby.quiet on the off season and outside pool lovely but a bit cold for a tot (fine for adults).overall super accomodation. We went on holiday with grandparents and our 11 month year old in September. We had a very relaxing week in the peaceful La Manga resort. The villa is very attractive, spacious and well equipped. In my opinion the photos don't do the property justice! Many happy evening dining al fresco in beautiful surroundings. Lots of very helpful baby equipment including a McLaren buggy, a tent/sunshade for the beach and all the 'standard' baby equipment was good quality and still very new. We really didn't need to bring very much with us at all! Fantastic property for our first trip abroad with our three boys (5yrs, 4yrs, 18months). The house is so child friendly, with books, toys, DVDs, stair gates and cots. The John Lewis cot was too low for our 18month old, but he slept well in the travel cot with a comfy mattress. There are some hazards for little ones that are worth mentioning. The floors are all marble, which look lovely and are great to clean but get very slippery when wet and also a hard fall for little ones who are not confident on their feet. The stairs are marble, too! But good stair gates in place. The roof is also a danger, with a low-ish ledge for children. But we just didn't take ours up there,and it is securely lockable. The roof is lovely, great for hanging out washing, enjoying the stunning views with a glass of wine in the evenings! The pool is lovely and secure behind the lockable garden gates. There is a baby pool too. It is unheated so, even in August, it is a bit nippy for little ones, especially if there is a breeze or clouds. But by the afternoon on a hot day, it is glorious! The resort is stunning, lots of restaurants, and activities for older children (6 ). There is another lovely pool to use, too, very slightly warmer as it is heated. There are two supermarkets with everything you would need. Also a shop with various bits and pieces from flip flops to armbands, souvenirs and kitchen equipment! 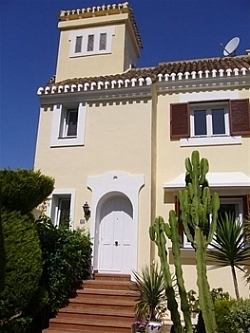 All in all, I would recommend this villa, the owners were great, so friendly and helpful. A real home from home in a beautiful part of Spain. We loved staying at Las Brisas. It was our first time abroad with our three boys -5yrs, 4yrs and 18 months. We stayed for 2 weeks athe end of August. Our boys loved the house and the pool. 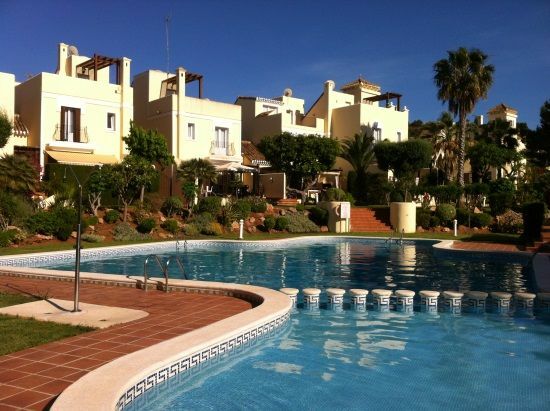 The Las Brisas pool is unheated and the other La Manga pool is not much warmer. It's fine if it is hot, but for part of every day it was overcast and a little windy, making it a little cold for little ones to swim. The villa is well equipped with baby paraphernalia. There are good stairgates in place. I would say, though, that there are marble floors (which are lovely and cool, easy to clean etc) but hard on the head if little ones are not steady on their feet. Also, the marble stairs are a concern. But the gates are positioned to block stairs access. The shops and restaurants are lovely, and so are the grounds. Overall, a fantastic holiday house! The owners couldn't have been more helpful, thankyou! We stayed in Las Brisas at the end of April 2012 and we had a great week at the resort with our 2 year-old son. The villa is set in a quiet, very friendly community and the veranda overlooks the excellently maintained, peaceful gardens with the pool as the central feature. 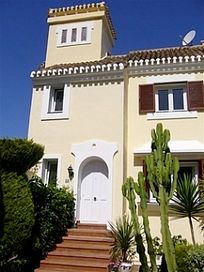 The villa is just a short drive from Murcia airport and, once you get used to the Spanish roads, just a short trip from lots of good beaches and great places to visit. Despite being off-season, we went to the beach nearly every day. The villa itself if exceptionally well equipped, with everything you could possibly want for young children: including a baby monitor, a McLaren buggy, a pop-up beach sun tent, buckets and spades and all manner of other toys. The lounge has lots for both adults and children, with toy boxes oin the corner, a good TV and a selection of books to browse. The kitchen is also very well appointed with lots of both adult and child utensils. There is loads of space throughout the villa, which is set over three floors and the views from the roof terrace are brilliant, offering views down to the coast and across the resort. Its a great place to watch the sun go down with a glass of wine at the end the day. The owners were very helpful before we left the UK, offering advice and answering all the questions we had. They provided a great information pack with the keys, including directions from both airports and recommendations for what to do at the resort. Theres also more information when you get to the villa. We spent a lovely, relaxing week at Las Brisas with our 20 month year old toddler. The villa is set in beautiful, landscaped gardens with an outdoor pool for warm weather. The villa is fully equipped with everything that you might need for babies/toddlers-we made lots of use of the buggy and highchair and our little boy loved the toy box in the living room. The short flight from the uk (two and a half hours) and short transfer time from the airport to the villa made this a pefect destination for travelling with a young family. 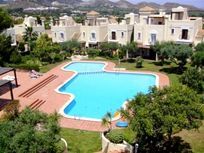 La Manga resort has lots on offer for families including a creche/kids club on site (we didn't use it but it looked very good), tennis, golf and football for older kids and a spa for grown up's. The owners are fiendly and helpful and gave us lots of helpful tips before we left -we would definitely recommend las Brisas!